Oh my, here we go again. I clicked on View the Match, then clicked on the little “Info icon” to see how much DNA we shared. Debra and I share 621 centimorgans across 25 segments. According to the chart I use, that amount of shared DNA put us in an overlapping range of first cousin and first cousin one removed. I then clicked on “Shared Matches” and saw that she also matched with my Roberts half-siblings. Because I can view my half-sister’s matches, I looked at her results and saw that she and Debra share 893 centimorgans of DNA across 37 segments. Solidly in the first cousin range. For sure, Debra is a first cousin and now I knew that we share a common grandparent on my paternal side. My grandparents, Bert Allen Roberts and Essie Pansy Barnes, had five children. The amount of DNA shared was not enough for Debra to be my half-sibling, so that ruled out my biological father, Hugh Eugene Roberts, from being involved. In subsequent messages, she indicated she knew who her mother was, so that eliminated Pansy and Helen, leaving only two potential sources for her to be a first cousin – Uncle Bert and Uncle John. Between the two, Uncle Bert was, by far, the likely candidate. Then, Debra let us know that her mother told her that her father’s name was Bert, but never said his last name. 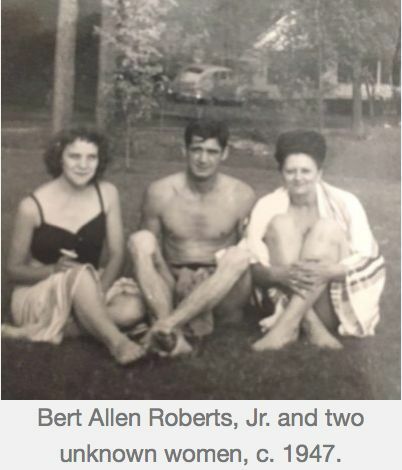 Debra also sent a photo of Bert, her supposed father, from the late 1940s. My half-brother Tom knew Bert and was able to identify Uncle Bert from the picture. Mystery solved! 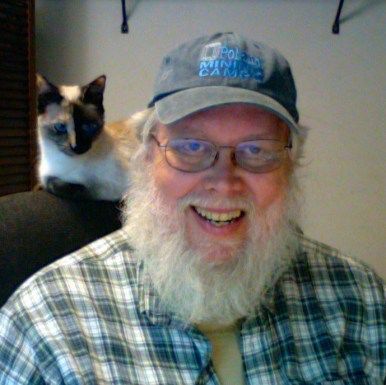 So, welcome cousin Debra Edwards to the growing Roberts clan. I am so pleased you were able to identify who your father is after so many years. My father and five paternal half siblings. A half-sister for my wife. Several 3rd and 4th cousins. And now, a new Roberts first cousin. Wow! Note: I wish Family Tree Maker had a better way to indicate offspring producing relationships. Creating a “spouse” and then set the relationship set to “Friend” or set to “Other” is cumbersome at best but doesn’t describe the relationship. Sigh….